An artist who goes by the pseudonym roadsworth is transforming ordinary city streets into surreal sights. 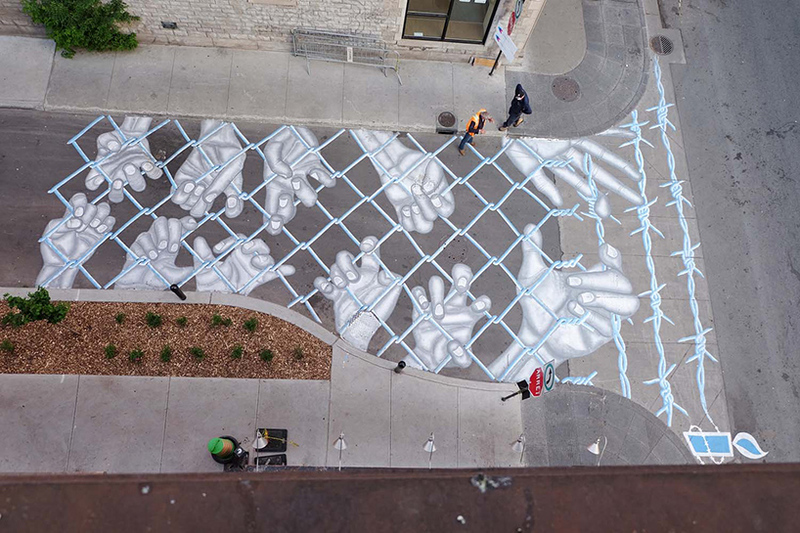 the canadian creative — whose real name is peter gibson — adds to the asphalt with a spectrum of vibrantly-colored painted forms, creating crosswalks and parking lots with a twist and a touch of humor. visual manipulations made to otherwise everyday street symbols turn the asphalt markings into underwater creatures, larger-than-life landscapes, and messages about social change.